Show your appreciation to a dedicated member of your organization with the Atlas Collection! Crafted out of Optically Perfect glass, these towering pillars come complete with detailed concave globes. An exceptional award for representing international themes and those who are well-traveled. The Atlas Collection features different sizes and may be customized with an individual's name, corporate logo, or a brief message. 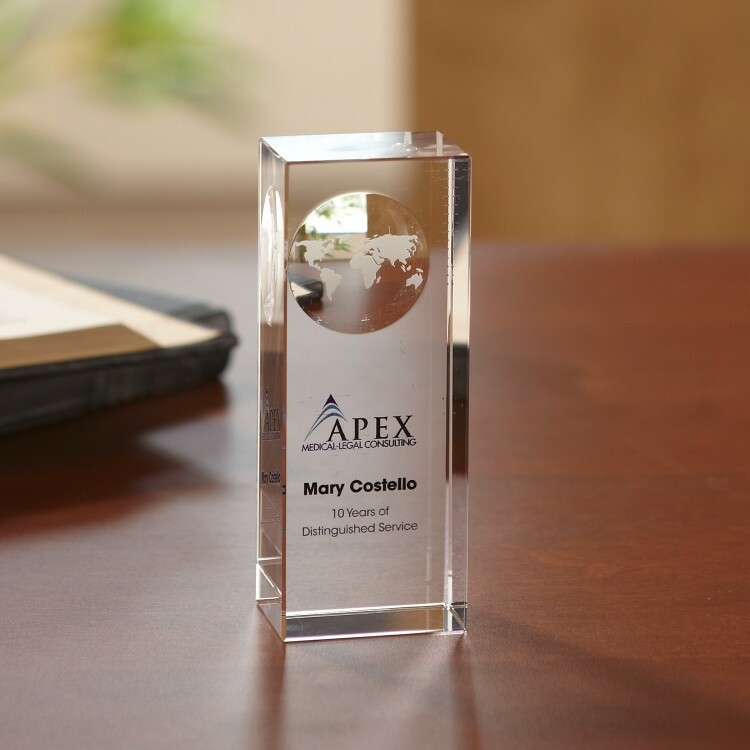 1.5" x 4" x 1.25"
Product Highlights: Part of the Atlas Collection, this Optically Perfect glass pillar features a recessed globe on the back.